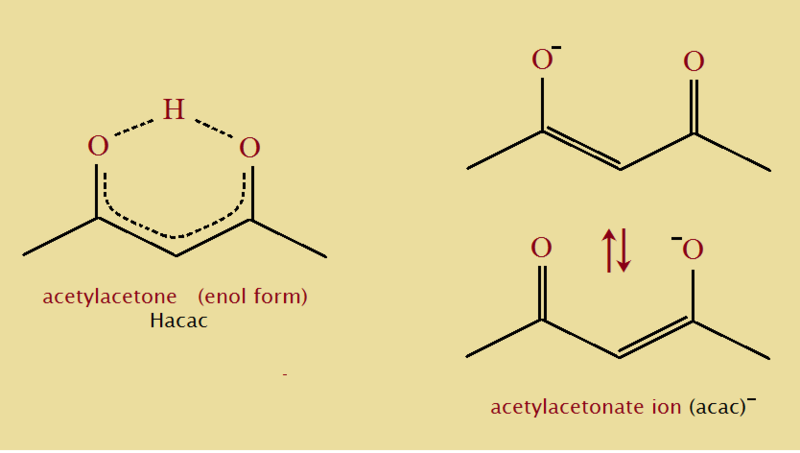 Acetylacetone is the simplest of the β-diketones and supports the phenomenon we call keto-enol tautomerism (see the illustration). Notice that the third carbon atom in the 5-carbon keto chain loans one of its hydrogen atoms in forming the enol tautomer. The freedom to move of this hydrogen atom suggests acetylacetone is a weak acid.¹ In effect, the saturated di-ketone becomes an unsaturated di-alcohol. Only instead of two hydrogen atoms, one to each oxygen atom, there is just the one hydrogen atom that must be shared. Commercially, acetylacetone or H(acac) can be prepared from isopropenyl acetate by heating it in the presence of an appropriate metal catalyst. Since it is an acid, it can ionize or “disassociate”, giving a positive hydrogen ion. 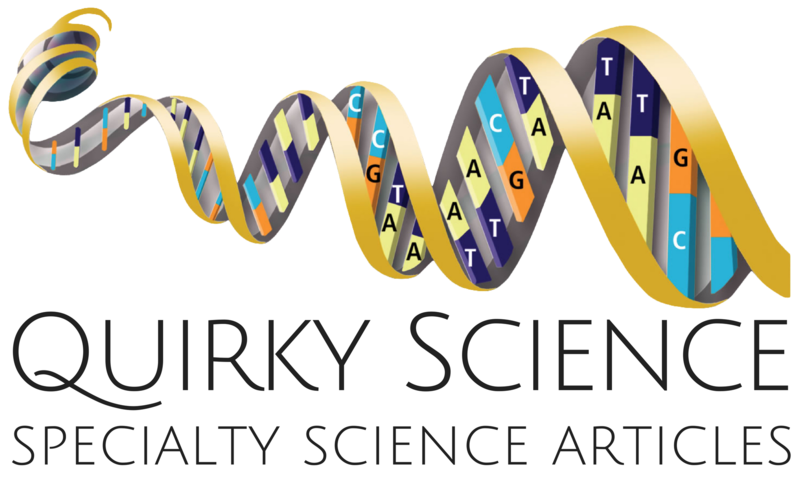 What else is produced in the process? The H(acac) also produces the negatively-charged ion (acac)⁻. This ligand (for such it is, especially when it binds to an atom of metal) is bidentate, meaning “two-toothed”. A classic example is Co(acac)₃. Notice how the image shows the three anions “biting” the cobalt atom. 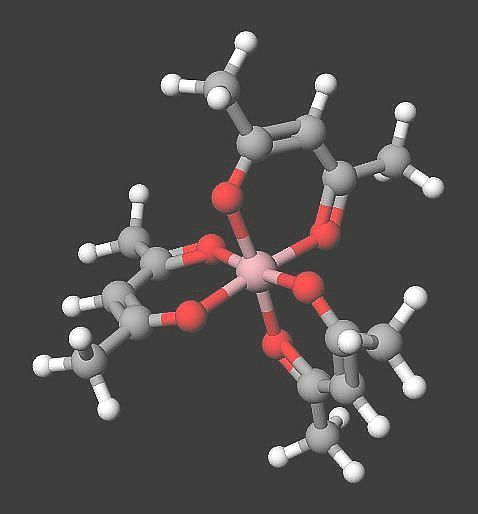 Notice the propeller-like shape and symmetry of the cobalt III acetylacetonate molecule. Also take note it exists as two enantiometers. An enantiomer is defined as each of a pair of two molecules that exist as mirror images of each other. 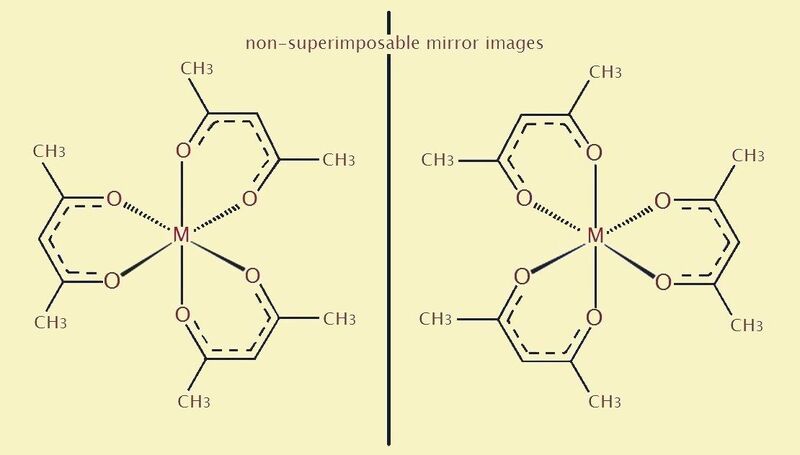 Such mirror images are not superimposable. Complex compounds such as Co(acac)₃ are often studied for unusual applications. One potential application for Co(acac)₃ is the formation of alloy nanoparticles that possess magnetic properties. See, for example, the reference cited for Chen and Nikles, cited below. ¹ We simplify our discussion by assigning acetylacetone the shorthand formula H(acac).